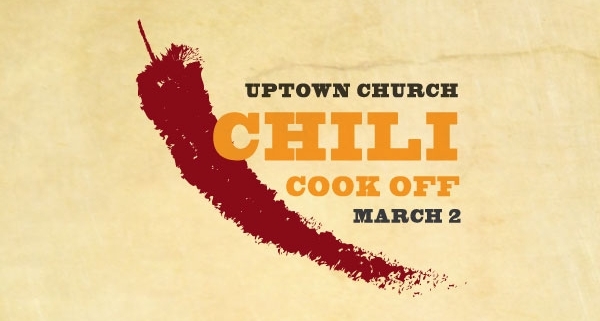 Saturday, March 2nd, we will host Uptown Church’s Chili Cook Off at Wilson Abbey. There will be opportunity to bring in other side dishes that complement as well. Judges will award prizes in specific categories and we will all eat and hang out together. A country music DJ will be providing music as well as an instructional time of teaching line dancing. Bring the whole family and invite some friends!